Sign up to receive updates on all things politics in Davidson County. 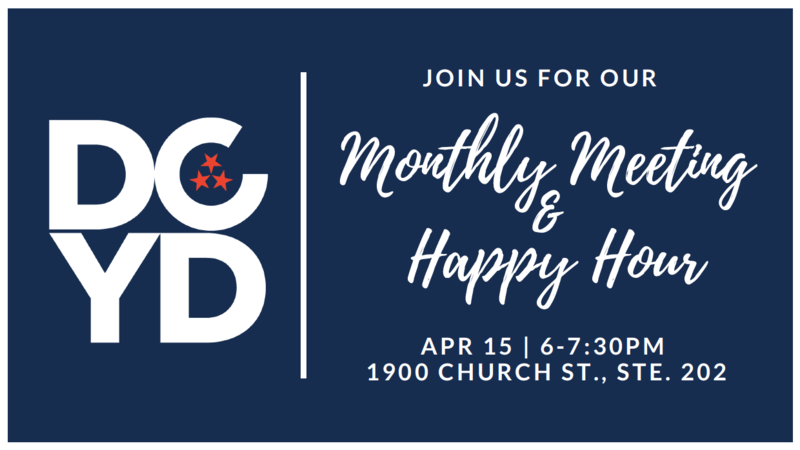 Join us for our monthly meeting on Monday, April 15 from 6-7:30pm at the Davidson County Democratic Party HQ (1900 Church Street, Suite 202). For more details and events, visit our Facebook page here. Follow DCYD to keep up with all of the latest events, and stay in-tune with all things politics in Davidson County. Interested in becoming a member? Join the DCYD today to push your county and your state towards a more progressive future.